Aleppo is the largest city in Syria. It is located in the northwest near the border with Turkey and has over 2 million inhabitants. After two failed sieges by the crusaders (in 1098 and 1124) and a century long occupation by the Mongols it was, after Constantinople, the most important city of the Ottoman Empire. After WW1 the Aleppo vilayet (Ottoman province) was split between Turkey and Syria. 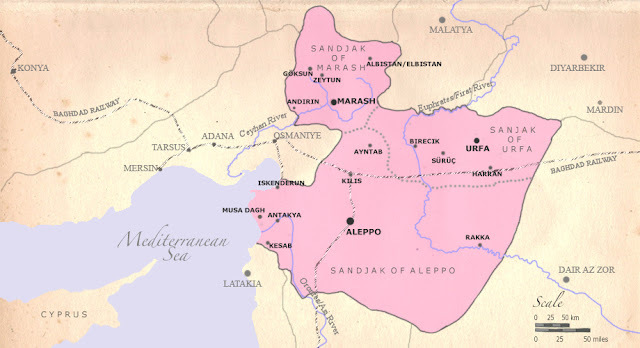 In 1925 the proclamation of an independent State of Aleppo by the French administration was canceled after heavy resistance by Syrian nationalists. A few years later Turkey deprived Aleppo of their access to the sea by annexing the Mediterranean coastal area, leaving Aleppo in isolation in Syria. The beautiful ancient city center is a UNESCO World Heritage Site. Once surrounded by a 5 km long city wall it houses more than 120.000 residents. The worlds largest (13 km long) covered souq-market can be found here. In its center, on the top of a hill, is an impressive citadel. It is considered to be one of the oldest and largest castles in the world. What an amazing and interesting post! I can only imagine just how incredible it must be if it's the oldest and largest castle in the world! What a place it must be! I like this post very much. In the current period (very cruel beacause of the civil war), it gives Honour to Syria, a very ancient country, having the name somehow deriving from Assyria. Very interesting post and great photos. Thanks. I just hope that Aleppo (and its inhabitants) doesn't suffer too much damage from the warfare that is raging there at the moment. You have given the place some well earned plaudits. Great post. It's good to be reminded that Aleppo has a distinguished history. All too-often our preceptions of cities in war-torn countries are distorted. I too hope that the citizens and buildings of Aleppo see more peaceful times. 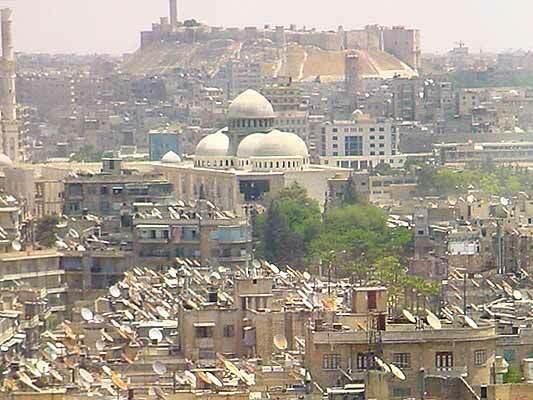 I have a friend who visited Aleppo before it became engulfed in violence. She was enchanted by the beauty of the city and the incredible hospitality of the people. When researching this post I was indeed surprised by the beautify of the city. I would love to visit it one day. It's instructive how the citadel is still important as a symbol related to what's happening in Aleppo right now.